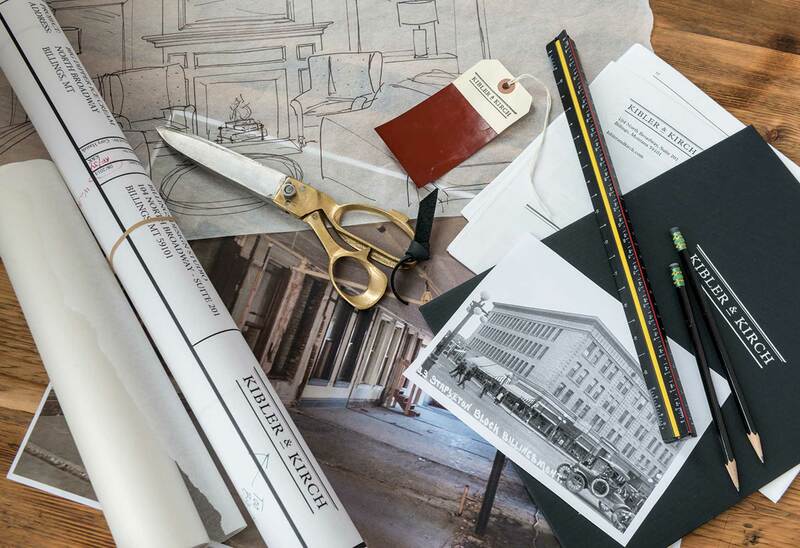 The interior design firm Kibler & Kirch has been helping Montanans make the most of their business and home interiors for more than 25 years. 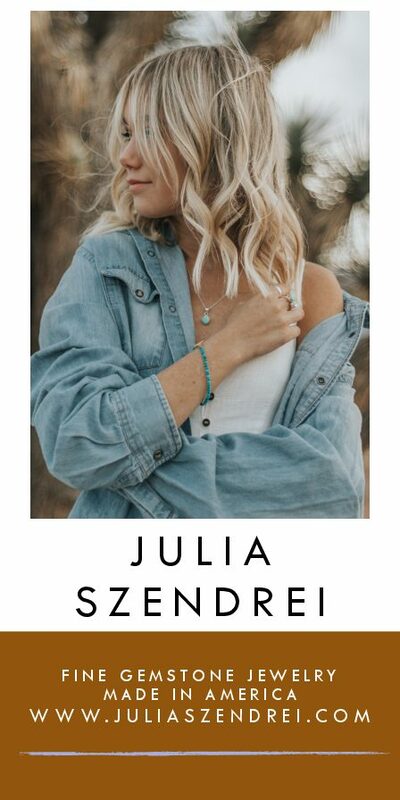 Founded by Rosina Kastelitz, Erica Hash, and Anita Evans, and taken over by Jeremiah Young six years ago, Kibler & Kirch is rooted in a well-established Red Lodge storefront. 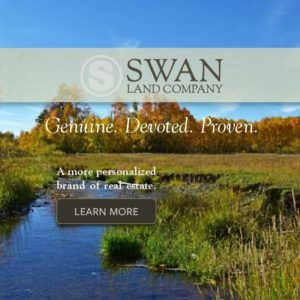 But as of October 2015, they have a location open in Billings as well. As you might expect, their new space — 4,000 square feet overlooking North Broadway in downtown — is a masterpiece of thoughtful and creative design. Young said he “inherited the terribleness” of the 1904 Stapleton Building when remodeling began about three years ago. After having the asbestos and lead paint removed, Young “remade all the wood.” Using a proprietary process he invented himself (something to do with conventional staining, layers of shellac, and a final application of faux painting), he artificially aged some of the wood, making it look like it had been around for some time. But this was only one of Young’s many tricks. Stepping from the busy Billings sidewalk into the historic structure, one enters another era. Black-and-white Art Deco tiles lead visitors to a set of stairs flanked by dark wood bannisters. On the second story, natural light and the glow from an antler chandelier highlight the names “Kibler & Kirch” on a glass-paneled door. Rounding the corner from the entry, through an opening in an 18-inch-thick brick wall, one enters the great room. A prominent oil painting above a fireplace — Rob Akey’s Enlightenment — portrays a white cement or stucco teepee on a field of dark blues, lit by a yellow street light and fed incongruously by power lines. This modern interpretation of a Western staple encapsulates the soul of Kibler & Kirch. Modern innovations weave throughout the texture and spirit of the space, even while honoring the spirit of the West. Eastern sunlight floods through a bank of windows in the great room, where clusters of chairs and tables in brown tones and Kastelitz’s signature “Rosina red” showcase a variety of furniture options. Browsing through the room, clients can explore numerous seating arrangements: Some are designed for dynamic conversations between multiple parties while others are intended for more intimate discussions. Clients can try out furniture and get a sense for the juxtaposition of antique and contemporary, light and dark, refined and rustic. Young admitted to trying to play on contrasts. Young and his wife Catherine were shopping in the Red Lodge store back in 2010 when they heard that the owners wanted to retire. Two weeks later, the Youngs had taken over the business. 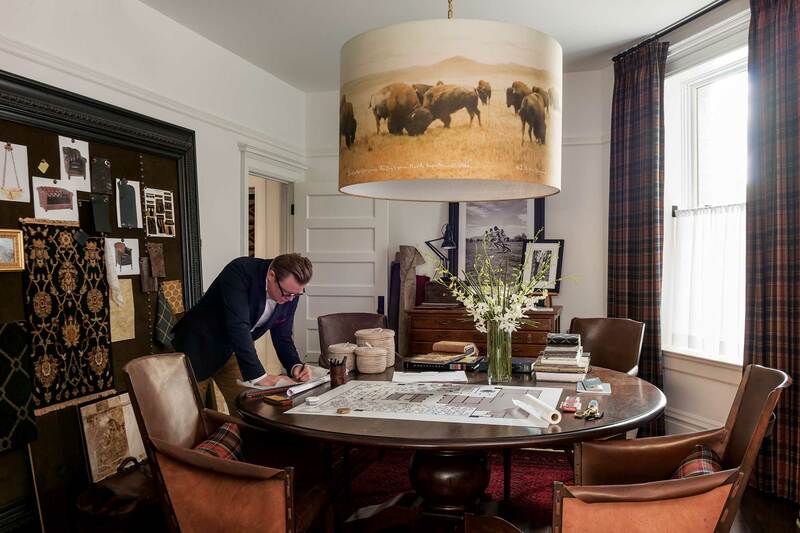 Six years later, an enterprise that began with the arrival of a truckload of furniture in Red Lodge has evolved into one of the most highly regarded design enterprises in the American West. Creative artifacts abound within the new space. 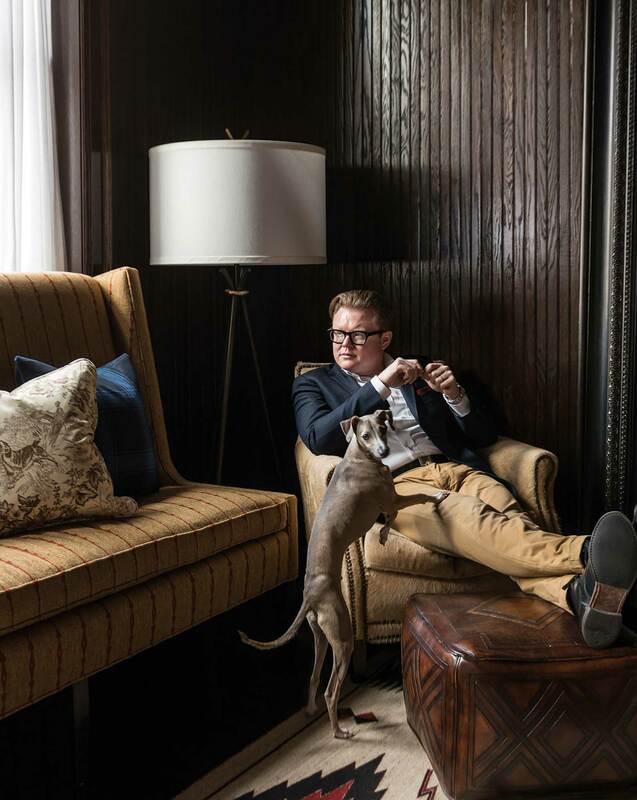 There is something to address almost every taste: from Amos Lee’s wood and casework, Abigail Hornik-Minckler’s lampshades, and Doug Lamont’s secretary desks, to Stanford chairs and couches in the great room, and Heartland’s modern kitchen appliances. A potential client might be invited into the conference room, under color-accurate lights, to be presented materials and production, as well as Computer Aided Design (CAD) drawings. This new studio functions as a place for vendors and clients to meet, linger, and swap creative ideas, while taking advantage of the ready access afforded by the Billings location. Young may believe he is operating under the radar in Billings, but his wizardry may not be a secret much longer. 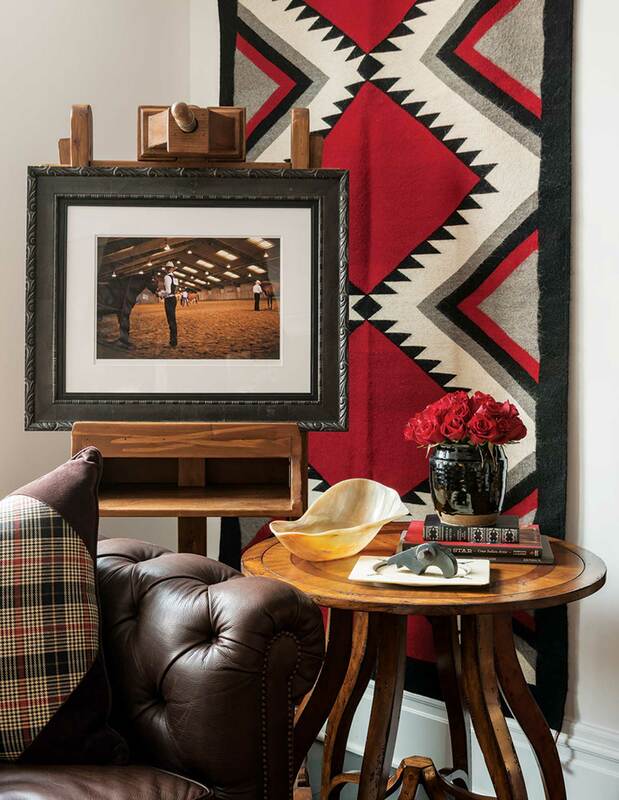 Though the focus is Western, unexpected details are contrasted and juxtaposed with pops of red. 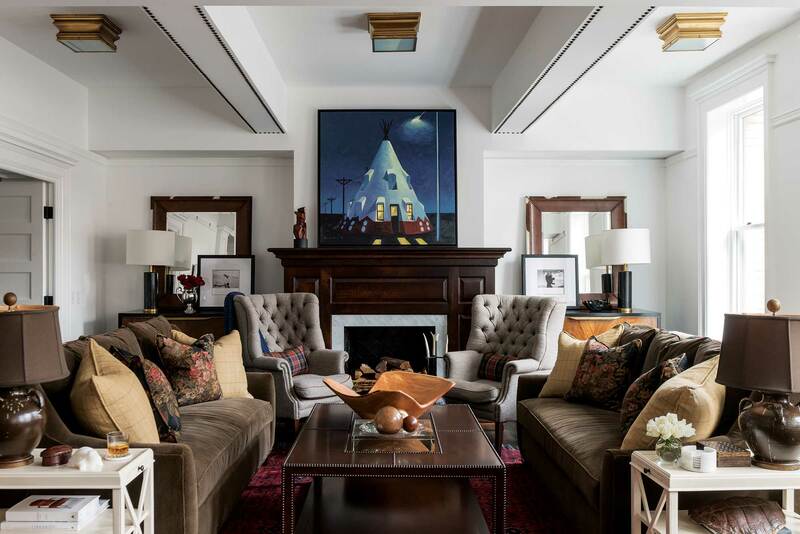 Rob Ackey’s painting Enlightenment hangs prominently in Kibler & Kirch’s great room. 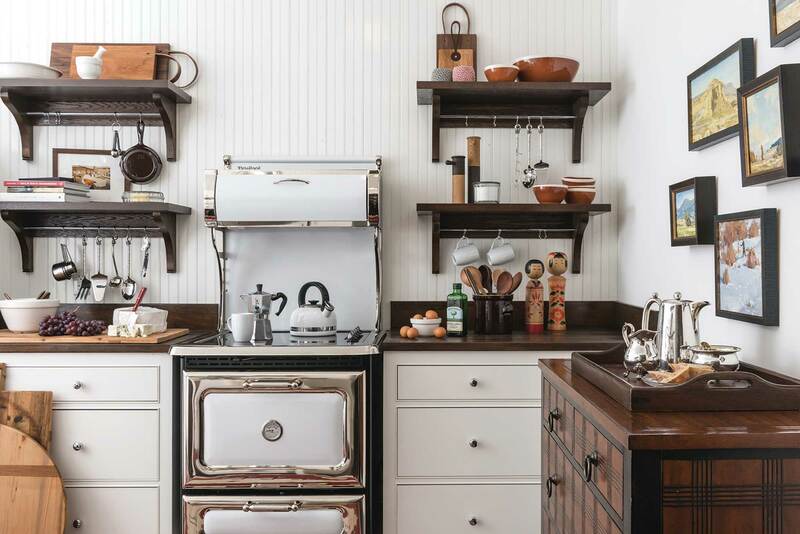 A modern Heartland range provides modern convenience in a rustic styled farm kitchen. In the heart of the studio, where appointments are scheduled and details realized. 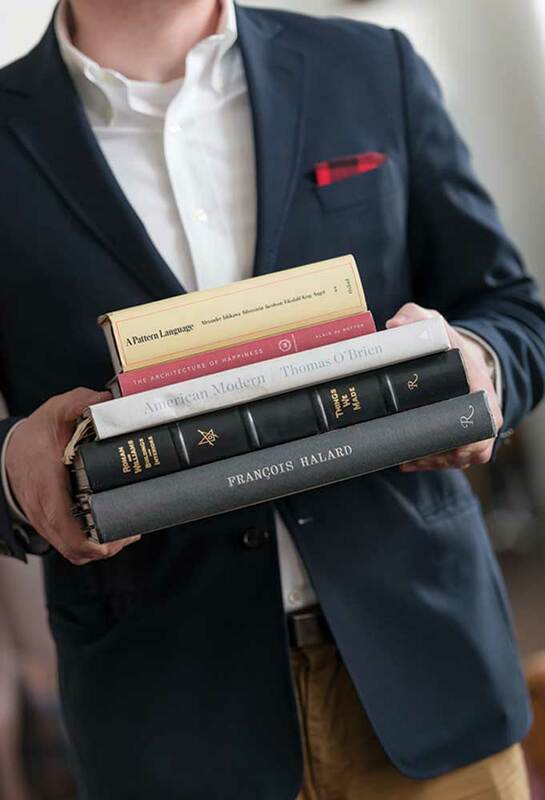 Young’s books serve as sources of inspiration. Jeremiah Young with Pip, his Italian greyhound. 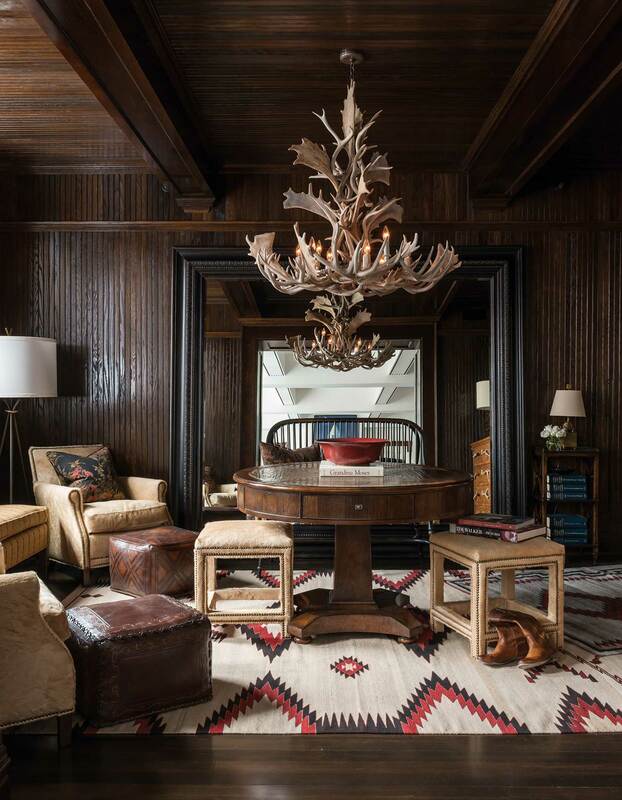 The entrance foyer for Kibler & Kirch is a space of “remade wood” and elegant cowboy comfort. Jeremiah Young’s office — where counsel and creativity abound. 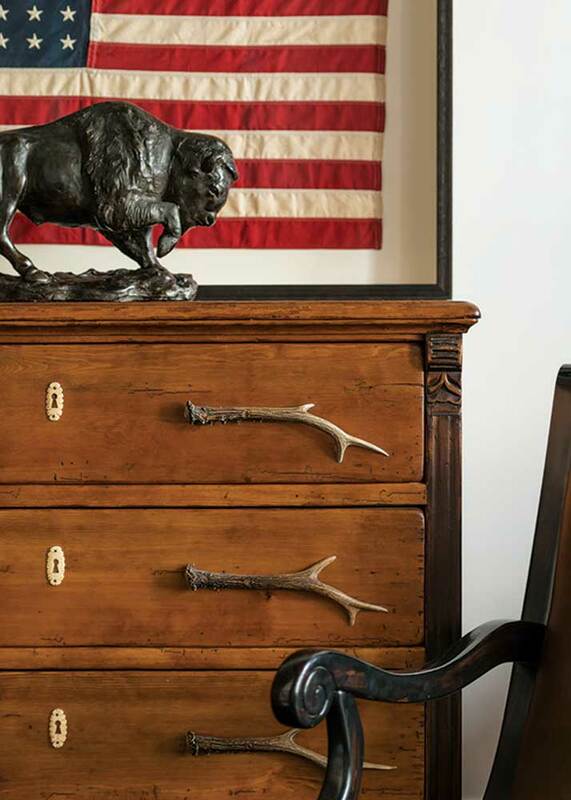 A Sarreid chest of drawers is accented with antler pulls. A selction of tools used for recreating, refurbishing, and renewing.